12 DIY's of Christmas #8: Snowman Kit + FREE PRINTABLES! As an aunt, I am constantly looking for creative new ideas for interactive gifts. After all, I don't want to just spoil them! I want them to get the most out of the spoilage, too. This year I decided to make them a little something using some Garnish products I had handy. 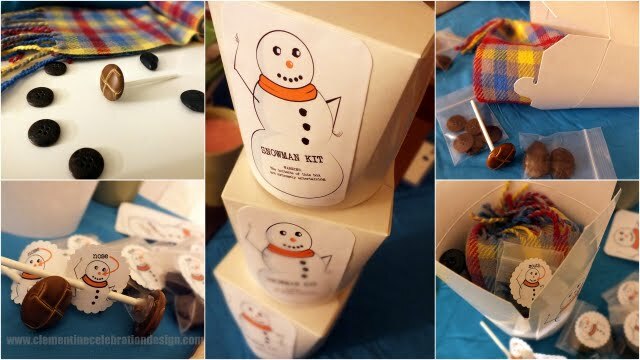 This Snowman Kit is a super easy and interactive gift to surprise little ones with. Basically, you get a scarf, some buttons and stones...put them together in cute little baggies, with cute little labels, in a cutesie little box, and voila! An awesome snowman kit. The takeout containers from Garnish were the perfect size for this. In the spirit of Christmas, I thought I'd share my 8th day of Christmas DIY with you as a download! Download the printables here to make your own before Christmas!